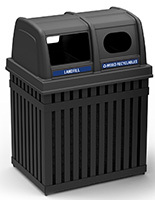 These plastic trash bins hold 39-gallon bags and hide their liner from view. 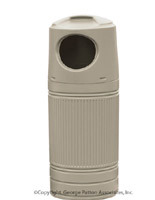 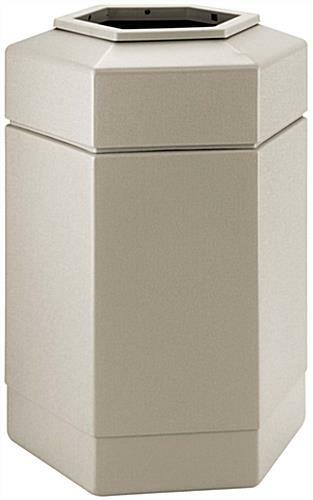 The waste disposal containers sport a hexagonal design and a beige finish that complements any environment. 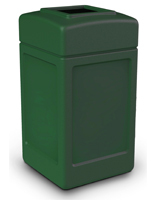 The trash bins are made of strong polyethylene and can withstand public areas with heavy foot traffic. 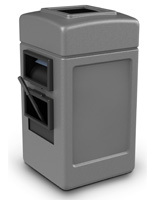 Durable receptacles are great for reducing litter in stores, businesses, hotels and other busy venues. 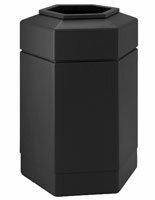 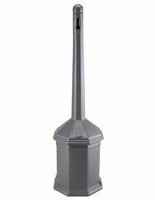 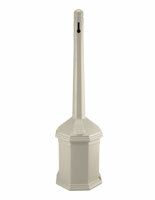 The convenient waste disposal bins allow for easy bag changing with their lift-off lid. 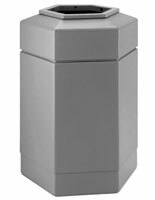 The containers for public use feature a weather-resistant design and are ideal for both indoor and outdoor environments.